Custom columns are also automatically pulled into the Overview site. This opens the TeamTime Content Type in a new window. 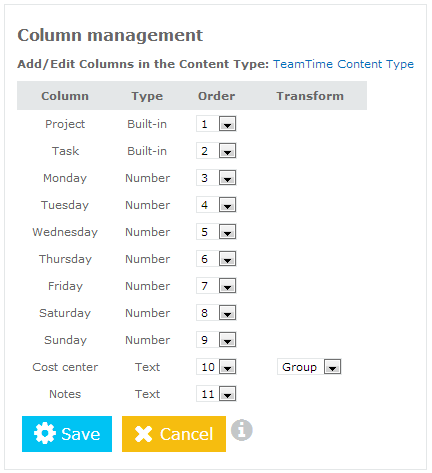 Columns added to the Content Type are displayed in all TeamTime sites in the site collection. If the link above is replaced by a warning message, then you will need to contact your site collection administrator in order to add the column(s). 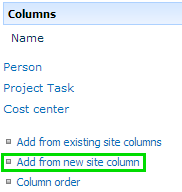 Create Custom Report pages to group by your custom column. Create the Custom Analysis pages to use your custom column.